To officially launch the new three-axle Mercedes-Benz Tourismo M 16 RHD 12.96m coach in right hand drive form and better inform customers about its Euro6 engine philosophy, EvoBus UK staged an event entitled ‘Efficiency meets Ecology’ at the impressive Mercedes-Benz World facility at Brooklands on Friday 15 November. Close to 100 operators were invited to attend along with members of the press. 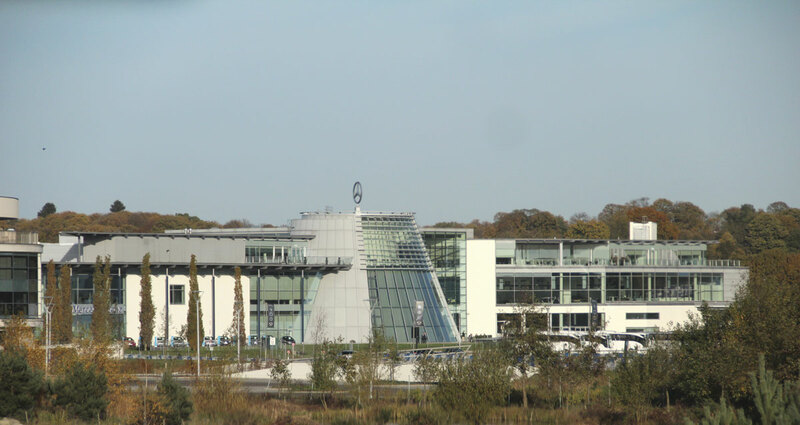 A fascinating day began with presentations on the new vehicle and Euro6 technology after which the afternoon programme involved a trip on a Euro6 Tourismo and, with tightly fastened seatbelts, the chance to drive AMG and M-Class Mercedes-Benz products on the track, on the skid pan and off-road. 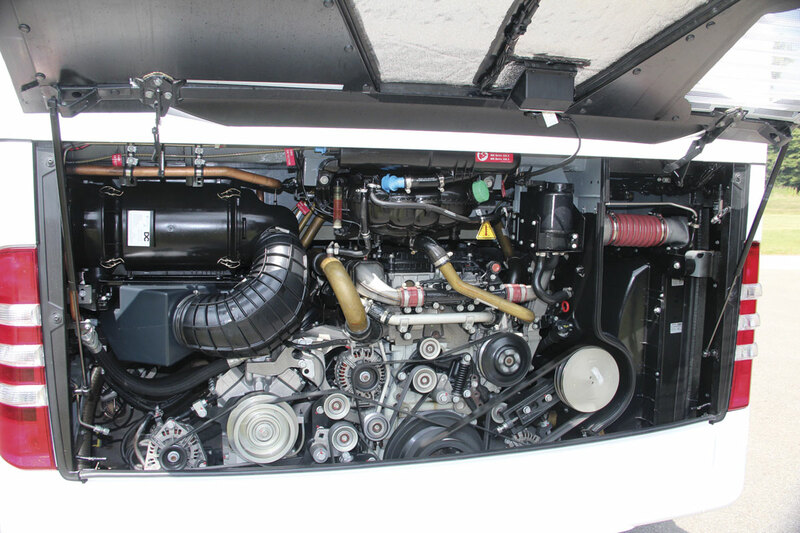 We have previously brought you detailed reports on the Euro6 engine technology in a right hand drive Tourismo in issue 1234, 19 July 2013, of Bus & Coach Buyer, as well as a detailed pre-Kortrijk report in issue 1242, 13 September 2013, but for many of the operators present it was the first time they had heard first hand all about the new engines and the extension to the Tourismo line up that will simultaneously boost the Mercedes-Benz UK portfolio and replace the Setra family of coaches. After welcoming everyone to the event, EvoBus UK MD, Jan Aichinger, handed over to Jonathan Prime, General Manager Coach Sales, for EvoBus UK, who talked of the history of the coach range, the launch of the first Tourismo in 1994, in turn replaced by the shape we know today in 2006 and now the latest Euro6 version. He explained that the Tourismo has always been built at the Mercedes-Benz factory in Hosdere near to Istanbul in Turkey, where 3,600 employees build in excess of 3,000 coaches a year, over 1,000 of them Tourismos. He also described the design and manufacturing process of the fully integral modular design which is offered in lengths of up to 15m (in left hand drive markets) and receives a KTL dip coating to ensure that it is protected against corrosion. 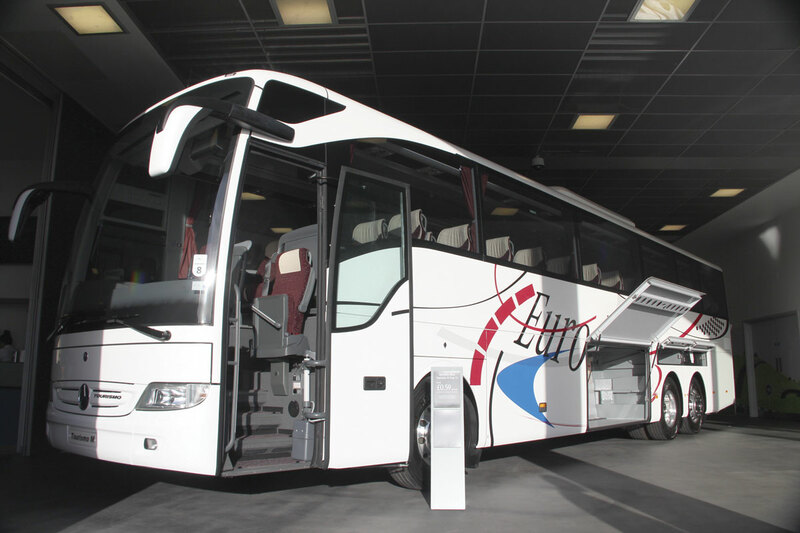 The 5,000th second generation model was delivered to a German operator in 2012 and since the Tourismo first came to the UK in 2007 as a 12.2m coach, over 250 have been sold. To inform everyone about the technology involved, Frank Mandel from the EvoBus Marketing Information department, had been flown in from Stuttgart. He explained that in 1990 when Euro0 was the emission level, engines could produce 1.1gm/kWh of particulate matter and 14.4gm/kWh of NOx. Under Euro6 the limits are 0.01 gm/kWh and 0.4 gm/kWh respectively. To achieve this massive reduction, the OM470 employs: cooled EGR to reduce the amount of NOx going into the engine to begin with; an HC doser to ensure active filter regeneration; a DOC (diesel oxidation catalyst) to generate NO2 to enable the CRT (continuously regenerating trap) to operate and also to reduce HC and CO; a Diesel Particulate Filter (DPF) to reduce PM by a minimum of 90% and promote passive regeneration in the CRT; and finally an SCR unit that, using AdBlue as a reduction agent, converts NOx into natural components, predominantly nitrogen and water. Understanding of the points he was making was greatly enhanced by a short video presentation that showed how the gases move through the engine, how the various emission control systems within the engine work and the order the processes occur in. The 10.7-litre six-cylinder in-line OM470 engine installed at the rear of a UK Tourismo. With the engine cover closed, there are two completely separate sections in the engine bay helping to control the air flow and reduce both noise and heat. 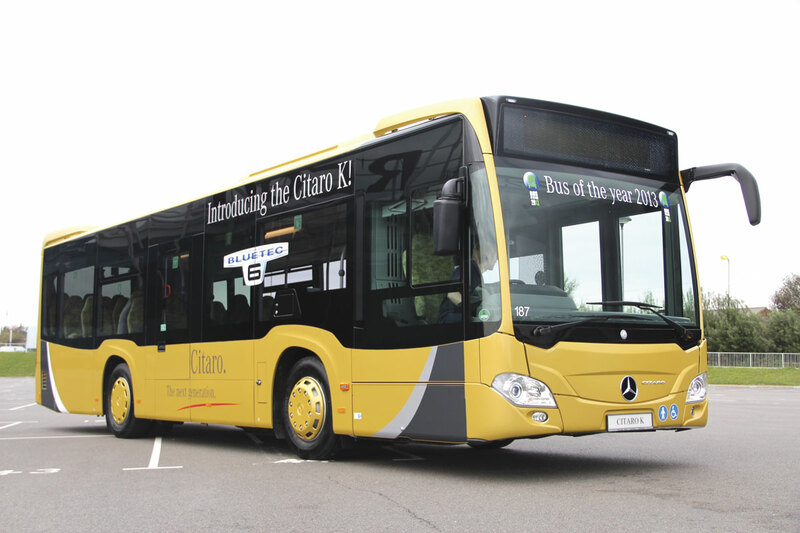 The OM470 unit that powers the Tourismo is one of a family of three Euro6 engines that Mercedes-Benz is offering in its bus and coach range. The trio are the 7.7-litre OM936 which is also produced in horizontal form as the OM936h, the 10.7-litre (10.677-litre) OM470 and the 12.8-litre OM471. The OM470 uses common rail injection and the latest turbocharging techniques to offer outputs of 360hp (265kW), 394hp (290kW) or 422hp (315kW) and peak torque of 1,700Nm, 1,900Nm and 2,100Nm respectively. In common with the other new units it has been developed to be robust and reliable with long maintenance intervals and low life cycle costs. Oil consumption has been reduced by approximately 50% to an average of 0.4-litres per 1,000km and oil change intervals have been extended to a maximum of 80,000miles/120,000km (or every two years) for coaches. Testing has involved covering 60 million km in conditions ranging from the Polar regions to the heat of South Africa. In the Tourismo it replaces the 12-litre OM457hLA and this downsizing contributes to the efficiency of the package. In comparison, it offers more power and more torque and produces both over a wider rev band. As well as reduced emissions, it has been designed to deliver increased fuel economy, reduced noise and greater reliability. Frank Mandel explained that through the reduction of friction and thermal losses and a reduction in the mass that has to be moved, the engine produces a greater power density and uses less fuel to do it. The way the engine and cooling system has been integrated on the vehicle sees the cooling pack mounted completely separately at the rear offside, helping to reduce the backflow of gases.